I have to say that italian President, Mr. Giorgio Napolitano, sometimes amazes me. When almost everybody could see no way out from the deadlocks of italian politics nowadays, that leading to his premature resignation and to a very hot situation in three months or so. I’ve undervalued Mr. Napolitano, that was a bad mistake. He’s a strategist, kind of chess player of the italian politics. And it was the right time for a knight’s move. 34 days after italian general elections we’re still without a new national government, exposed on the international financial markets in a weak position, punished by a downgrade on our national debt by the three major rating agencies. Two months from now we will have new problems to face like a programmed raise of our VAT level (from 21% to 22%), a change in the composition of a number of taxes (will add more pressure to a very high level) and a number of little and big challenges to stand as a country in order to stabilize our economy. In a few words, we need a national government. A strong one to be sure. Italy is in the middle of a huge economic crisis, it’s on the top of a 200+ billion euro national debt, it’s at the very bottom of all international economic charts when it comes to growth. To be all clear, we’re facing a major disaster here. A disaster that will not be limited by our borders since we’re still a pillar in the European Union and a key country in the economic world scene. Got the first picture? Yesterday the italian minister for foreign affairs, Mr. Giuliomaria Terzi di Sant’Agata, resign his mandate in a public session of the Camera dei Deputati (it’s the House of Representatives). His speech was quite emotional, full of words like “dignity”, “honor” and “duty”. From a formal point of view, even a good speech. The reasons to resign the mandate are related to the crisis between India and Italy, one of the worst diplomatic events in the history of our republic. Mr. Terzi di Sant’Agata was one of the main actors in this crisis, he got a pivotal role in the decision to keep two italian soldiers (Massimiliano Latorre and Salvatore Girone from Battailion San Marco) at home in spite of the previous agreement with the Indian central government. I’ve titled this post about ‘a noble man’. Mr. Terzi di Sant’Agata indeed got all the trademarks of a noble. He’s a baron, a marquis, a count and a knight. I’m not joking, he’s the descendant of a noble family. A pity that Italy doesn’t recognize any of this titles. Ostensibly Mr. Terzi doesn’t remember his noble heritage as well. He forgot his long-term family tradition when it comes to act in order to guarantee the honor of our country, tha same applies for what happened yesterday. You see, it’s all about politics these days. And personal interest as well. 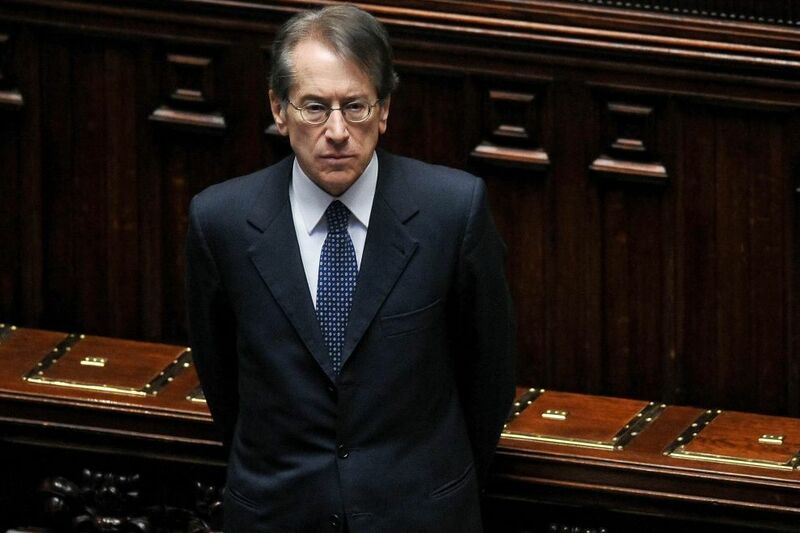 Mr. Terzi, shortly before his speech, assured the prime minister Mario Monti that he will not give up his mandate. The truth is that he already got a private agreement with the center-right party in order to get a safe seat in the next parliament. That was his price to deliver his resignation speech, another hard blow to the italian government. Mr. Terzi got all the show for him yesterday. He walks away from his role, caring nothing about our country, our soldiers in India, about all the issues that are in the political agenda these days. What we got it’s another face in the gallery of the unworthy in the history of Italian Republic, another day of shame in front of our allies worldwide. A real nobleman indeed. There are many strange tales about WWII, stories caught between documented facts and myth that echoes thru decades to be told again and again. This one is about Timur (Tamerlano for italians), his tomb, an archeologist and the nazi invasion of Russia.